Being engaged is a special time. There are so many things to juggle from engagement parties to dress shopping to picking a color scheme & theme to our most recent check of the old check list engagement photos. Our photographer Melina Wallisch is amazing. 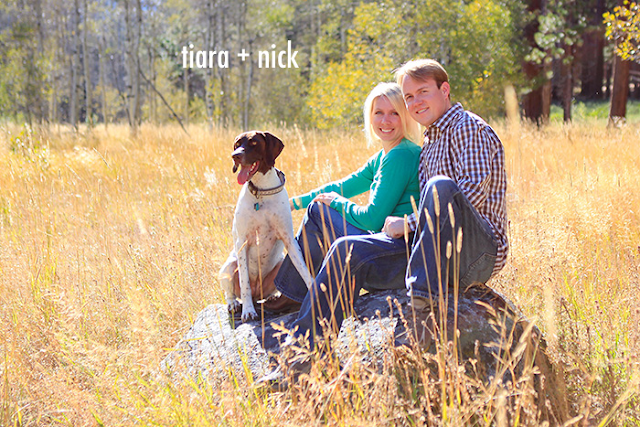 She's located to South Lake Tahoe and has an eye for the natural beauty of Tahoe. Back in October we headed out to a meadow near Taylor Creek for the first location before heading down to Tallac and Valhalla Estates on the lake. Below are a few photos. 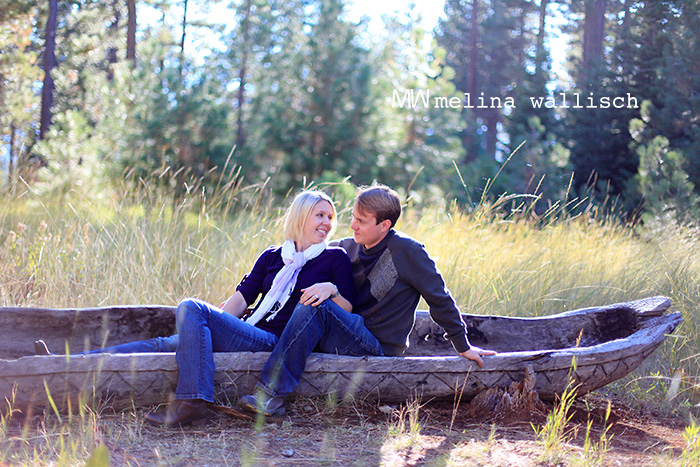 Melina featured our session on her blog too! I can't wait to see her photos from the wedding! Where did you take your engagement photos? I love the pictures! Can't wait to meet the photographer on your wedding day! Thanks Jen! You'll love her she's super sweet. @Natasha - Thank you! Melina is sweet as pie. You would love her.